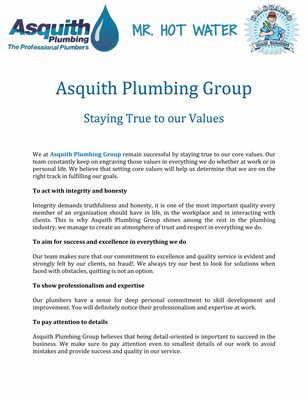 We at Asquith Plumbing Group remain successful by staying true to our core values. Our team constantly keep on engraving those values in everything we do whether at work or in personal life. We believe that setting core values will help us determine that we are on the right track in fulfilling our goals.